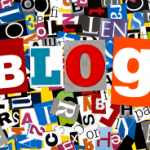 Do You Know How to Create Viral Blog Content? 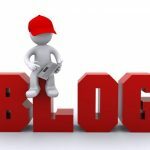 The short answer to this question is to always prepare excellent, well thought out, relevant posts on your topics, and to include both the latest information as well as innovative and creative details that will keep your readers captivated and single focused, but that might be easier said that done if you are just starting out and want to create a name for yourself as an authority blogger. Even Seth Godin had to start at the beginning when he decided to create viral blog content for his business. Over the past decade I’ve made a study of which of my posts have the greatest impact on my community. By this I mean the ones that receive the most comments and shares on social media platforms. In my experience it comes down to just two factors – keywords and post titles. I put myself into the shoes of my reader and think about what they might search for when seeking out information and topics that I cover within my posts. Then I give my posts titles that use these keyword phrases. In a way, my post titles serve as an index to the topics my readers and prospects are searching for online. Now if your goal is to create viral blog content, and I’m not sure that is a goal that must be met with every post, then those keywords and titles must pay off with well written and thought out content, as well as information that is somewhat unique and helpful to your visitors, readers, prospects, and clients. Are you putting together good lists? Are you offering great bullets teaching people how to do stuff, simply and easily? Are you reporting on the trendiest stuff in your niche? Are you becoming an authority and certified genius in your field? Be yourself. Say something that matters. Don’t just tell us what. Tell us why. Give us meaning. Give us determination. Give us facts. Give us dreams. Give us reality. Give us desire. Give us that which others would never dream of giving. Be courageous. The more it scares you the more it matters. You can be honest, respectful, and dignified while challenging the world with your honest and forthright opinions, but for all that is worthwhile, challenge the world you must! Please, we the audience, beg it of you. Now all of this is excellent advice, but I wanted to further seek out and research what other bloggers had to say on this topic of how to create viral blog content. I read at least a dozen blog each week and the thoughts on this seemed to have a common thread. There’s definitely something to be said about being the BEST in your chosen niche. When you achieve that simple standard of authority, expert, or certified genius in your field, the key to being who you are is filling up those shoes. You fill them up because the space belongs to you. You own it. And because you own it, you get to do with it whatever you choose. 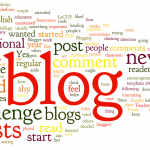 Write relevant content every time you post on your blog. Stay in your own niche, and on topic. Write powerful keyword phrases in every bit of content. Use sub-headers and bullets to grab attention. 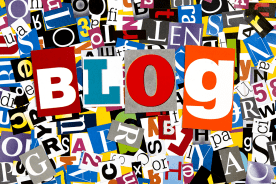 Put your BEST content in the blog, every time. And these are the 5 BEST ways to generate viral content on your blog. So, there you have it. The most important piece I want you to take away is that you must write every day. My blog may have started out as a way to find my voice and get into the habit of writing, but somewhere along the way, perhaps in year two I began to have my own ideas, opinions, and experiences when it came to online marketing and content publishing. When I started writing from both my heart and my mind, ideas began to pour out of me and continue to flow. Is your goal to create viral blog content, or is it more about writing and publishing content that will resonate with your reader, the person who finds your site and is inspired to read a few posts and subscribe to your list? Maybe your strategy is to combine these two goals into a workable plan for your business. Either way, know that what you think and feel matters, and having a platform through which to distribute this content is your legacy to generations to come. Hi, Connie. Great job on curating. This is a full piece on its own but adding the two pieces makes it better. It’s always comforting to me to know that you too started out by writing. I may not know where I’m going at the moment but I do know that as I write each day it’s building a habit that will serve me in the future. I have always believed that all the content one creates should contain the same elements and considerations that have been discussed here. Why not have “viral” in mind with everything you write? After all, isn’t it the audience that determines what goes “viral” depending upon which posts or articles they want to share? I say, write everything you release with the ingredients necessary to allow it to be “viral.” Give more thought and care to your writing even if it means slightly fewer articles. One other thought that I think is critical and Seth Godin talks about it in several of his books including the Idea Virus. I didn’t see it mentioned anywhere in this discussion. The principle is that the author “infects” as many people as possible right from the onset so that the virus spreads fast and as broadly as it can. Some would say that distributing content goes against the meaning of “viral” which suggests that others do the work of sharing instead of the author. To me, that’s unnecessarily limiting the possibilities. Let me ask: Which has a better chance of “going viral” – an article sent to your 500 person targeted mailing list … or … an articled distributed by the author to his list and to an additional audience of 50,000 targeted prospects? To me, the viral possibilities of any given piece of content are magnified many times over by initially getting it in the hands of the largest targeted audience possible – “infecting” many others outside your usual core sphere of influence. I really enjoyed this post Connie and I also got a lot from clicking through and reading Jan Verhoeff’s article. I’m beginning to get things together so I write more regularly. Thanks for your support.